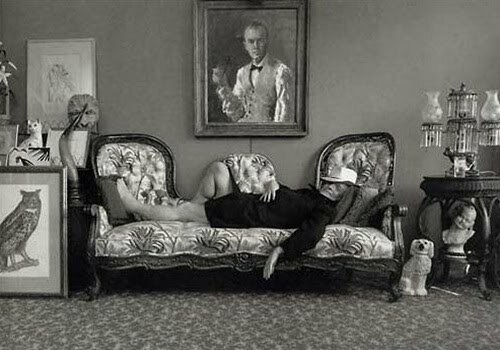 Truman Capote liked to lay on his back, with a glass of sherry in one hand and a pencil in another. Flannery O’Connor insisted on facing the blank surface of her wood dresser to ensure no distractions. John Irving begins each project by writing the last sentence. All writers seem to have their quirky rituals. I’m currently searching for mine. As I adapt to life outside the confines of an office cubicle, I am slowly coming to grips with the reality that I can pretty much do as I darn well please. There’s no dress code, no prescribed working hours, no bans on loud music or stinky food or sudden strings of profanities. This means I can finally embrace my natural inclination to lean back in my chair, with my feet proudly propped on my desk. Although my former coworkers will attest to the fact that I occasionally displayed this behavior at previous workplaces, I never felt the position was fully welcomed by my colleagues. Now, my only colleague is a cat whose sole priority is finding the most comfortable spot for napping. Beyond my most favored sitting position, I’m struggling to figure out what other quirks I might add to my repertoire. Smoking and drinking seem too cliché (and detrimental). I’ve attempted to work at Starbucks and Panera (also cliché), but so far, neither one has inspired much more than some good old-fashioned people-watching. I’ve also tried lounging on my back deck, but the sun was too bright (and relaxing) to support any meaningful productivity. One morning habit I have developed is to light a candle to the left of my computer monitor and balance it with the illumination of my task light on the right side. Maybe the quirks will come with time.